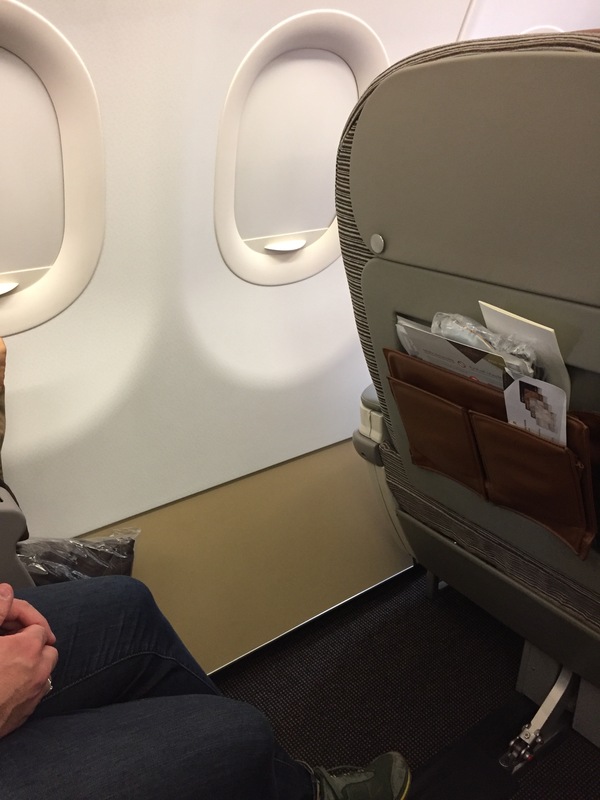 Etihad A320 Business Class Review | No Mas Coach! 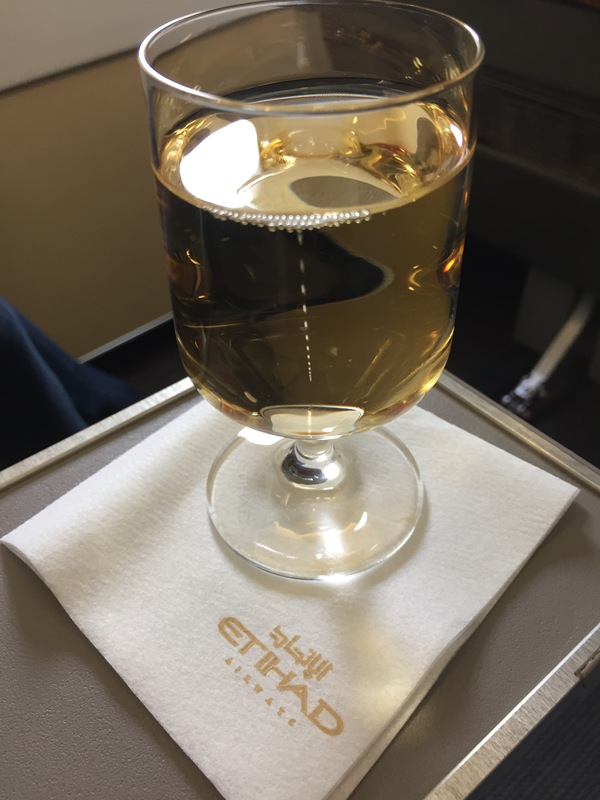 Unlike Emirates which only flies with 777 or A380 aircraft, Etihad A320 aircraft service some of the shorter routes in the middle east and beyond. 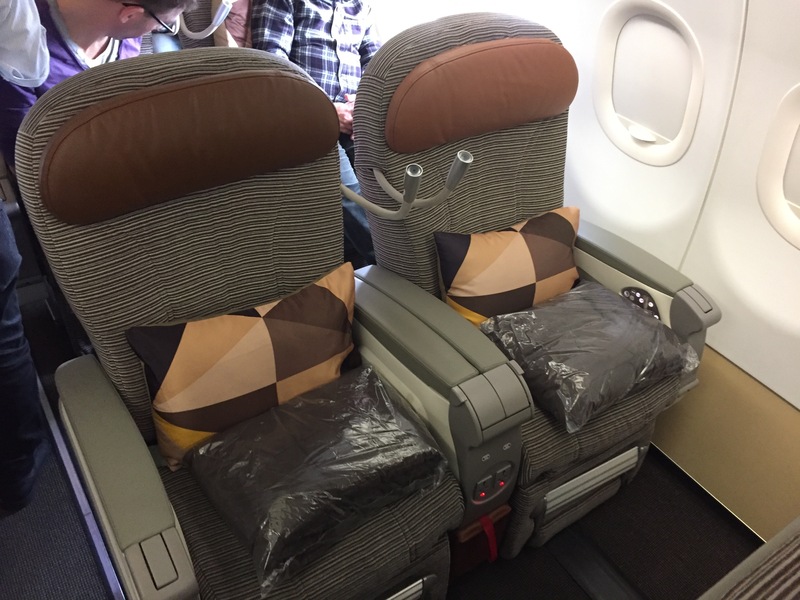 While many European carriers offer a coach class seat in their intra-Europe business class, Etihad A320 Business Class stands out by offering a fantastic hard AND soft product on these short flights. The short 3 minute bus trip to our stand was routine and then we headed up the stairs to the A320 business class cabin. The seats were surprisingly large and roomy, better than most domestic first class seats you’d see in the US. 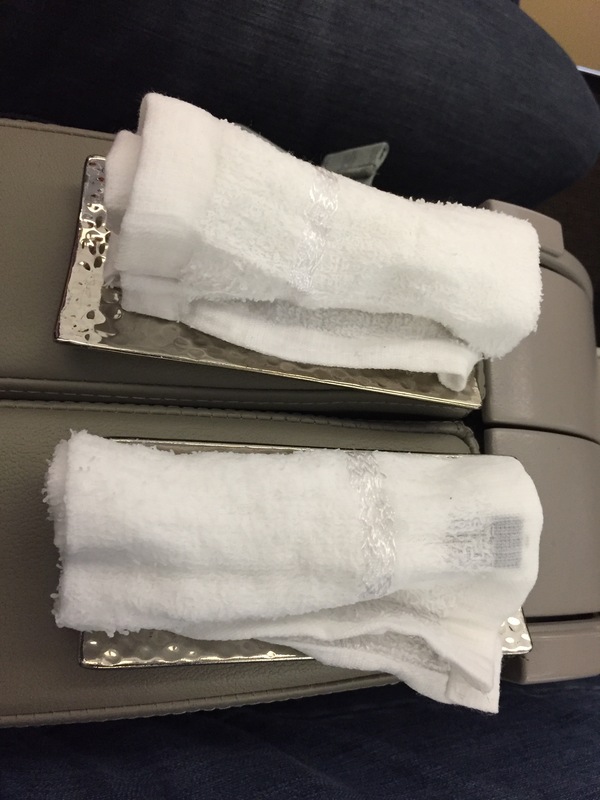 Waiting at each seat was the signature Etihad pillow and blanket. In each seat back pocket noise cancelling headphones were provided. As you can tell, the leg room was pretty awesome! 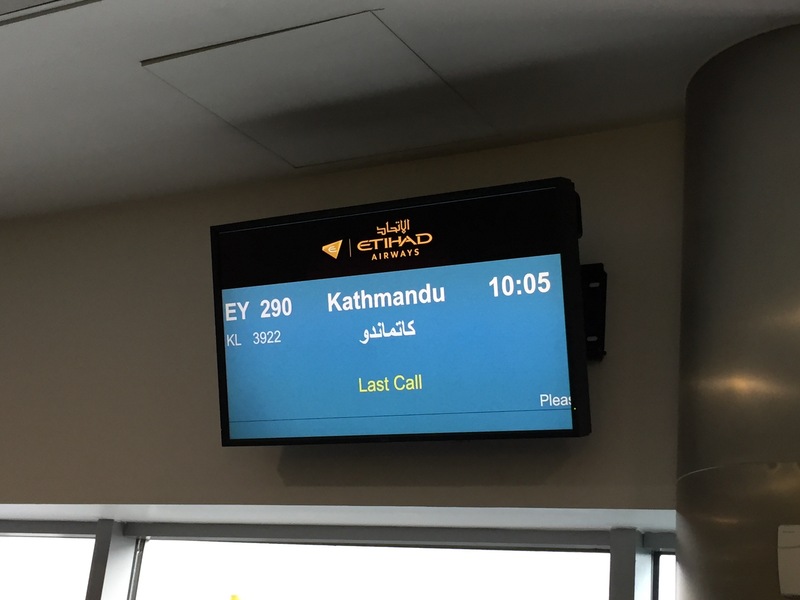 As we started to taxi out, as is per Etihad standard, the prayer was played over the loud speakers. 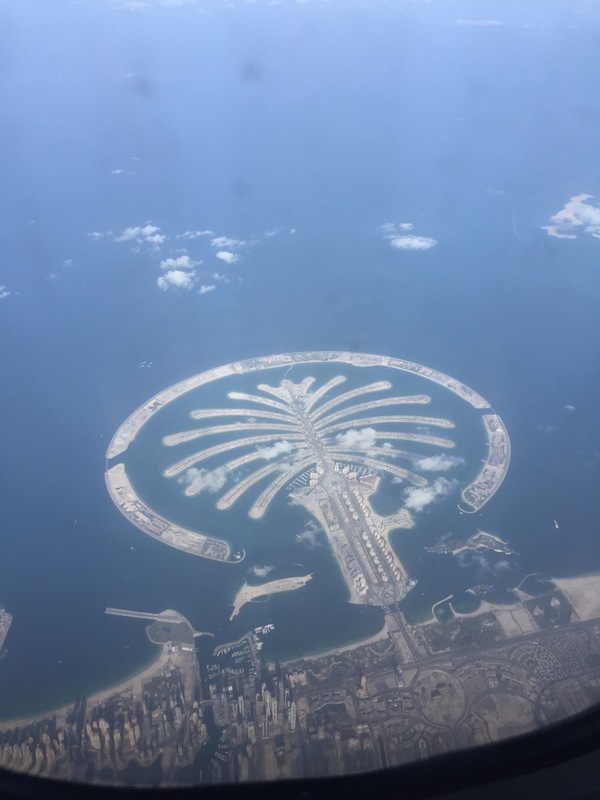 The views of Dubai after take off were awesome. 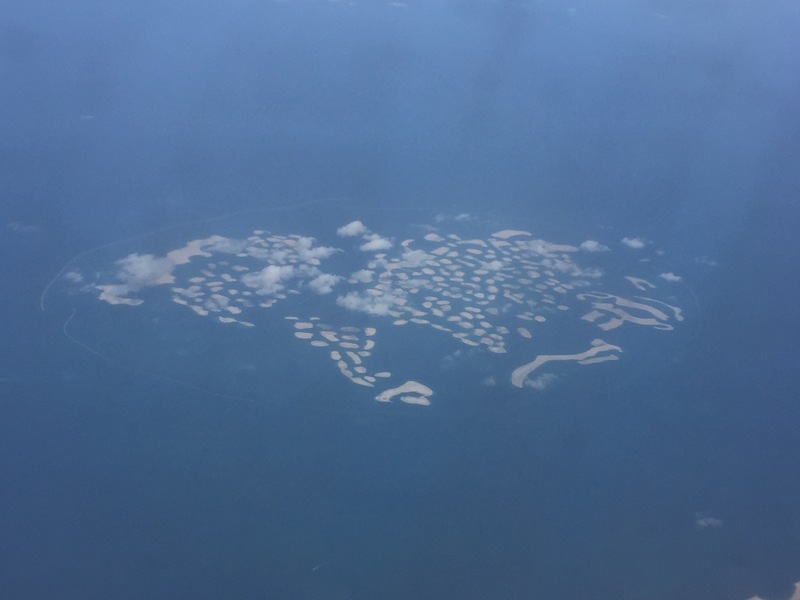 You could see the “Palm” and the “World.” Say whatever you want about the Emirates, but these are pretty amazing. 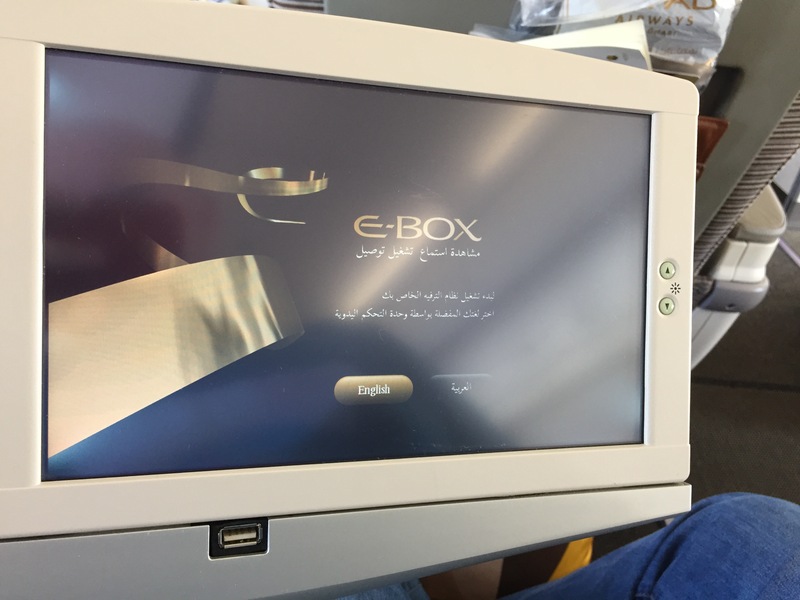 Once we took off, menus were distributed… talk about a pretty awesome service for a four hour flight! While I decided to get the trip started out right and opted for the vegetarian option. 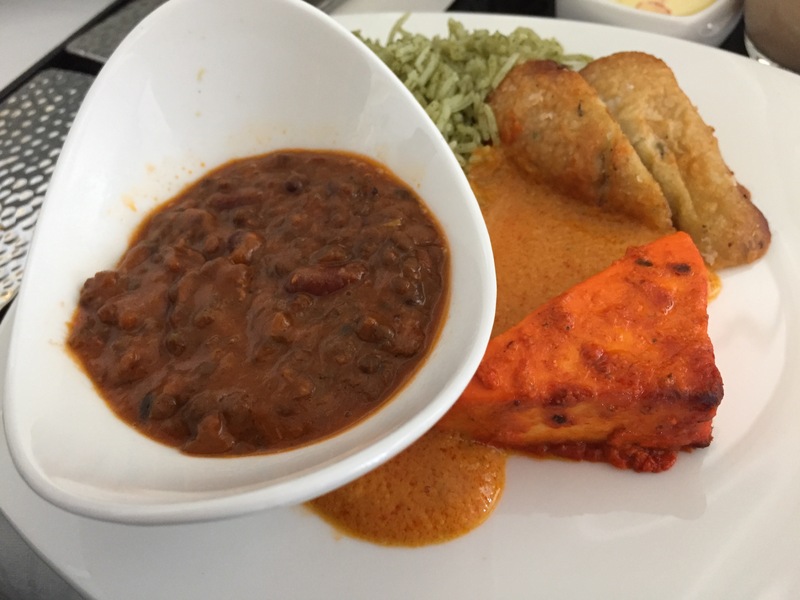 Lentils, Tikka Paneer, Rice and Potatoes. I didn’t know what to expect but I was pleasantly surprised by the flavor! After it was all said and done, they offered ice cream for dessert. Mine was the more unique of the two as it was “baklava flavored.” It was also hard as cement, so we had to wait almost 10 minutes for it to thaw a bit before eating. 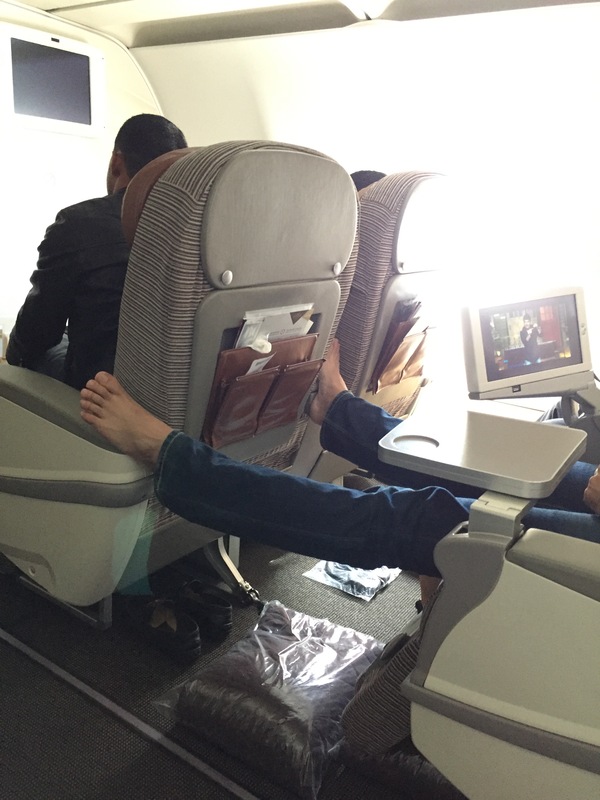 And for one of my favorite photos, this just goes to show that even though you may be seated in business class, it doesn’t mean you have class. How f-ing gross. Before taking this flight, I was honestly expecting a very Euro-style experience. 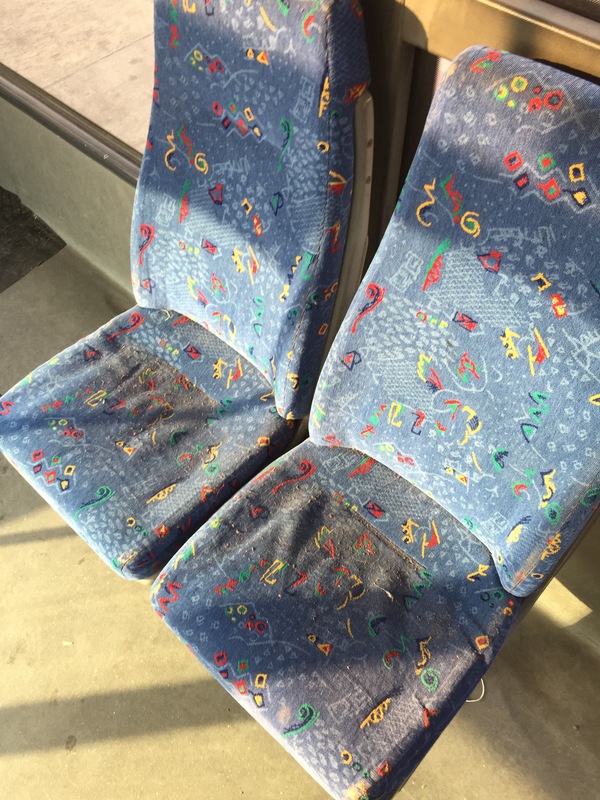 Coach class seats with a divider in the middle to give you a little extra space. I suppose I should have known better being a middle east carrier. 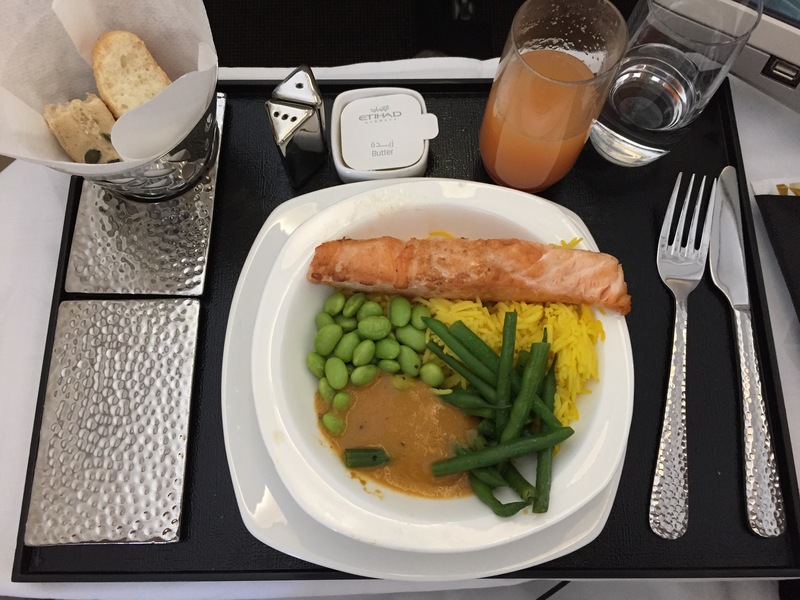 The seat was comfortable and spacious, the catering was amazing, the service was on point, and the lounge/check in/airport experience was perfect. 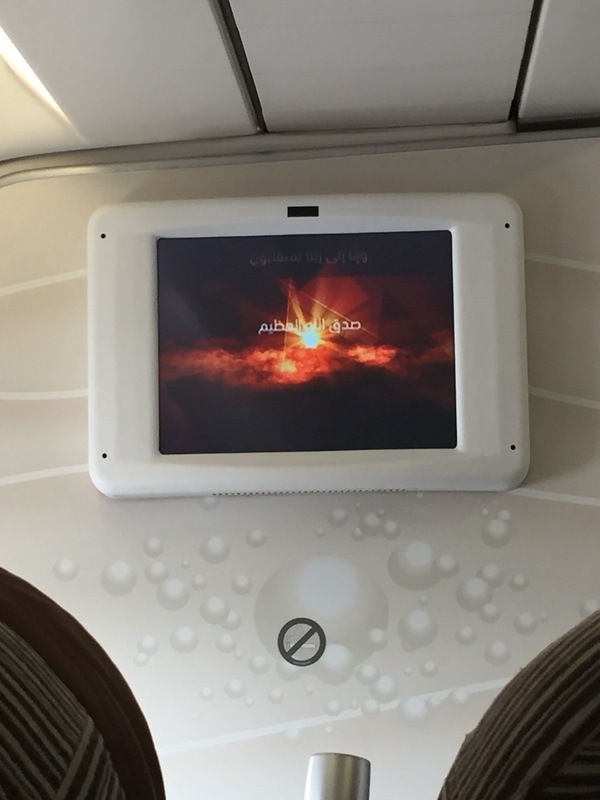 We couldn’t have asked for a simplier and more efficient travel experience. 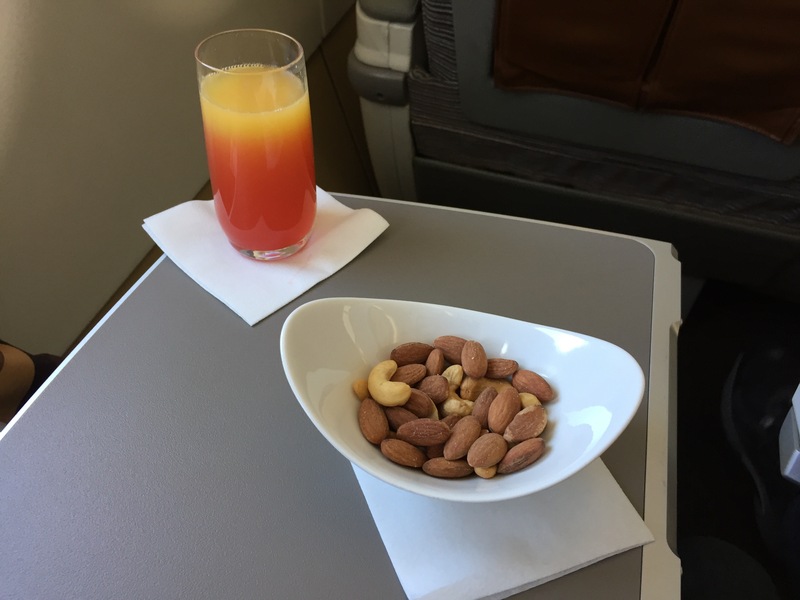 We can recommened without hesitation for anyone to give Etihad’s A320 service a shot if you’re traveling short haul out of Abu Dhabi. Huh. The coach flight’s $574, the business class version is $1310. 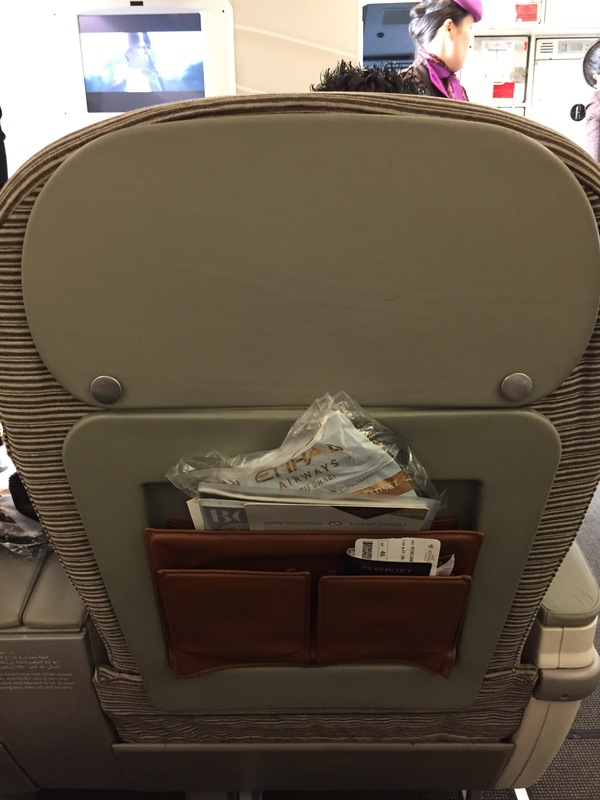 Would you pay the premium if it was cash rather than miles? 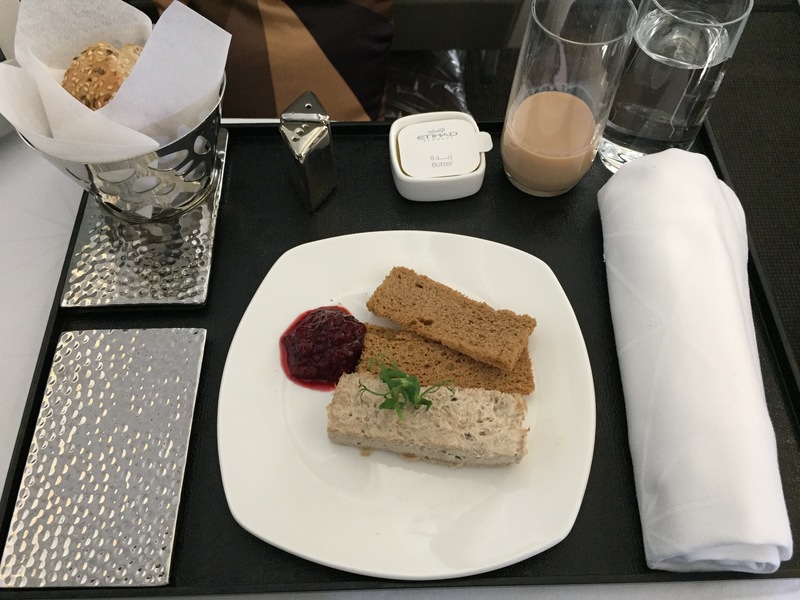 The buisness class appetiser you posted is not Tuna my friend.Its Duck!! Crap – you’re right. I can’t even find the picture of the Tuna. Good catch! It’s not the same Champagne as international first. The one you were served would be billecart salmon NV whereas the international first Champagne they’re providing now is vintage and you can also choose the billecart salmon nv rose. Still, the one you had is excellent and fine for a regional flight. I guess I was just so caught up in the tastiness of it all that I missed that detail. Thanks for the correction! Hmm, J NdA — seems you got to step up your reportage a bit.